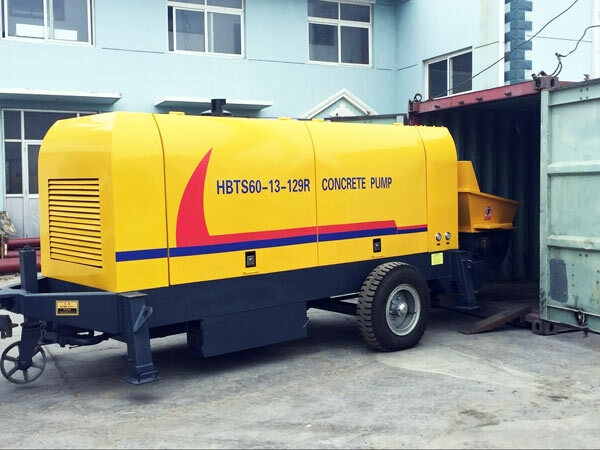 Manual concrete pump is a concrete machinery which is used for continuous transport along pipelines. 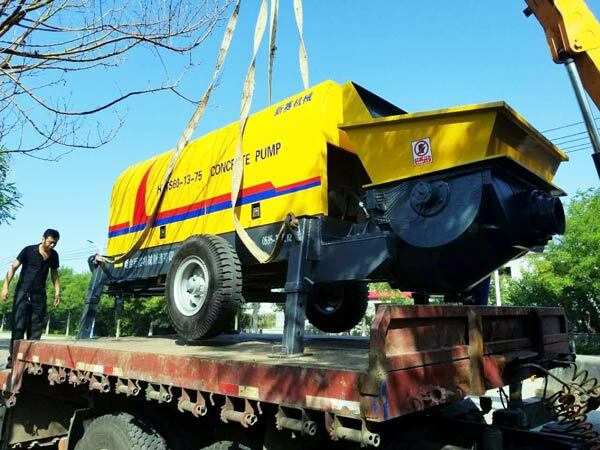 As one professional concrete pump manufacturer, Aimix produces different kinds of manual pumps, including diesel manual pump and electric manual pump. 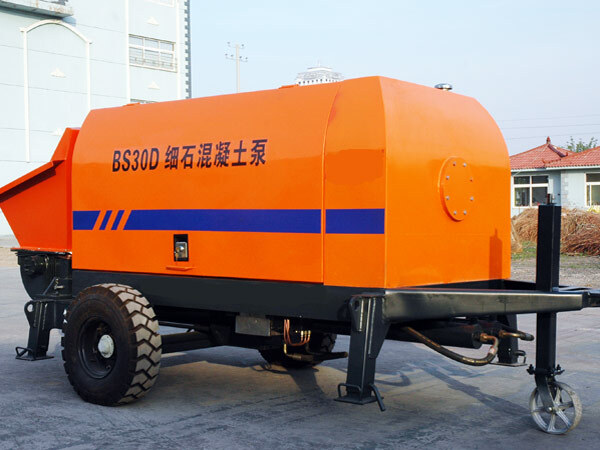 Manual diesel concrete pump refers to the pump which uses diesel engine as motor system. Compared with electric type, it usually has a larger power on equal conditions. The output of our diesel pump ranges from 30 cubic meters per hour to 90 cubic meters per hour. It is more suitable for somewhere there is no electricity. 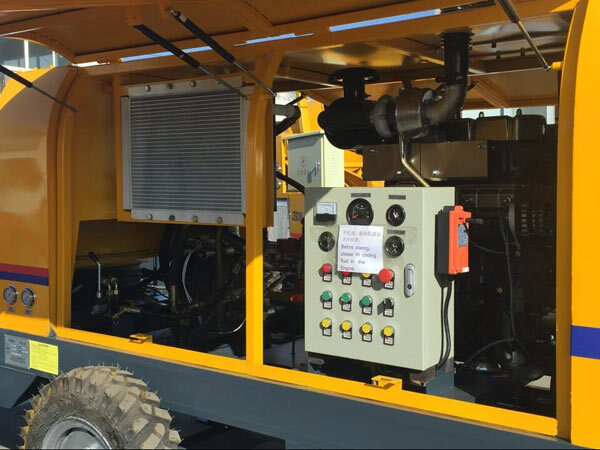 We have such diesel models for your reference: BS30-10-56R, HBTS40-10-82R, HBTS50-12-62R, HBTS60-13-129R, HBTS80-16-129R, HBTS90-18-176R. Electric manual pump is driven by motor. With the advantages of environmental protection concept and the popularization of electricity, this is really popular in the construction market. 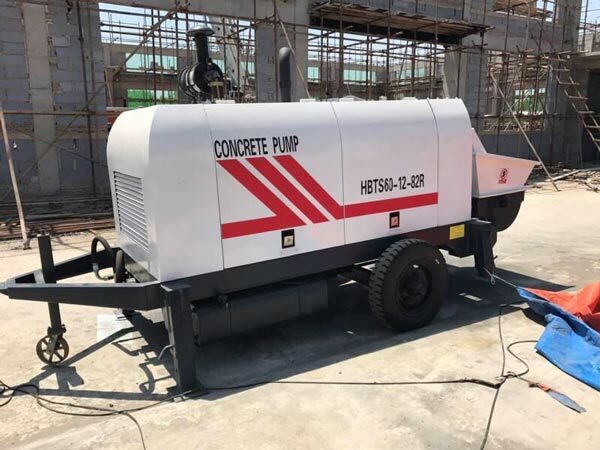 When it comes to manual electric concrete pump, we have more models for you to choose, including BS30-10-37, HBTS40-13-45, HBTS50-12-75, HBTS60-13-90, HBTS80-16-110. Next, let’s look for some reasons why customers are attracted by this kind of pump. 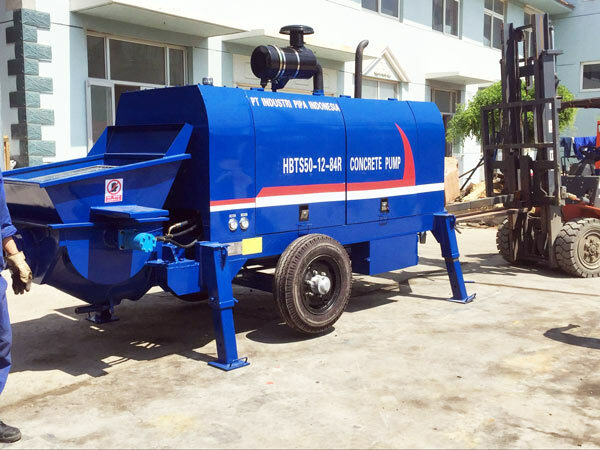 Why manual concrete pump is popular? 1. The pumping efficiency is increased by using advanced S distribution valve. S valve consists of wear plate and cutting. The adoption of rigid and wearable alloy materials prolongs the service life of wear plate and cutting ring. Besides, there is floating wear-resisting ring on S valve, which compensates its rubbing loss automatically and has good tightness. 2. It has anti-pump function, which helps the concrete in the conveying cylinder back to the hopper. By doing this, it can reduce clogging. 3. The hydraulic system adopts open-type system, which leads to a fast speed of commutation and high efficiency. 4. It is equipped with advanced air cooling system instead of water cooling system. Thus there is no need to connect with water source, which is more convenient. 5. Adopted with central automatic lubrication system, the maintenance becomes much easier. 6. It’s highly maneuverable because of its nice electric control system. We have convenient wire remote equipment and imported program controller. 7. With high pumping pressure, it can meet the demands of high-rise construction and long-distance construction. 8. With high device and stable function, it has a low failure rate, which saves the cost of subsequent maintenance. Since Aimix manual has so many strong points, they have exported to a lot of foreign countries. How does manual concrete pump work? When the manual ready mix pump is dragged to the construction site, then you need to set up pipelines. Because only with the help of pipelines, concrete can be sent to high-rise place. So what will happen when the pump starts working? At first the concrete is sucked into one of the concrete conveying cylinders. When concrete pistons begins to move, and then the S valve in the hopper also begins to move and push the concrete out of the conveying cylinder and make it get into the pipelines. This is the first turn. 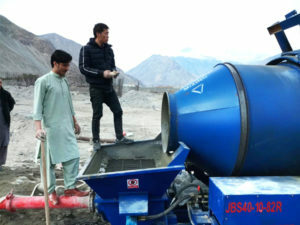 After that, the system changes the direction to the contrary automatically, then concrete was sucked into the other concrete conveying cylinder and start another pumping process. 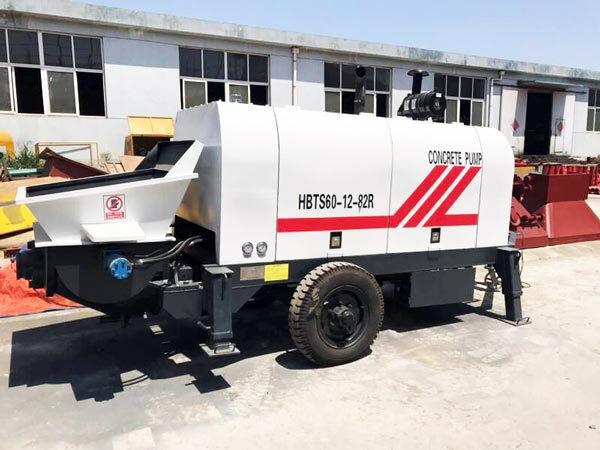 After introducing the features and working principle of our manual concrete pumping machine, I guess you may have the idea of purchasing it. 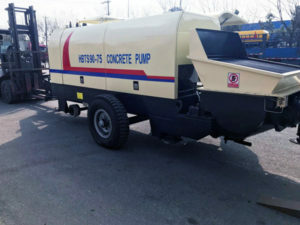 Besides, you can also get portable concrete pump from us. Please feel free to contact us at any time, and your inquiry will be replied within twenty four hours.